In 2016, Lunar Medical Inc. and collaborating partners completed a detailed concept for an Advanced Crew Medical System (ACMS) for the Canadian Space Agency. ACMS is the concept for a comprehensive medical support system for long duration spaceflight. The system will support crew medical care for multi-month spaceflight missions to destinations beyond low Earth orbit (BLEO). BLEO missions will be unlike current missions to the International Space Station (ISS) and similar low Earth orbit (LEO) destinations. While ISS astronauts remain in close contact with Mission Control, and can easily return to Earth in a matter of hours for medical treatment, long duration BLEO missions such as a return to the moon for extended periods or to near Earth asteroids (NEA) and Mars, will be very different. Any early return to Earth due to crewmember illness or injury will take weeks or months, and may simply not be an option. Crews will be required to monitor and maintain crewmember health and wellbeing throughout the mission, and any direct ground medical support will be complicated by time-delayed communications with Earth. A central component of the ACMS will be its spaceflight medicine decision support system (SMDSS or DSS). SMDSS will assist the crew medical officer in diagnostic and treatment decisions during the mission. 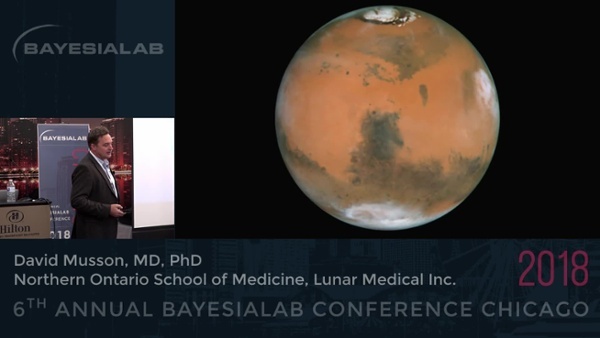 Key challenges include our limited understanding of medical illness in the spaceflight environment, time delayed communications with the Earth, and limited on-board medical expertise. ACMS and SMDSS will also need to support crew health and medical operations when communication with Mission Control is interrupted, or in circumstances where a medically trained astronaut is unavailable or unable to respond. System constraints and requirements for the range of missions currently under consideration will be presented.